Trump says the familiar baby blue color on the presidential aircraft will give way to a red, white and blue color scheme. 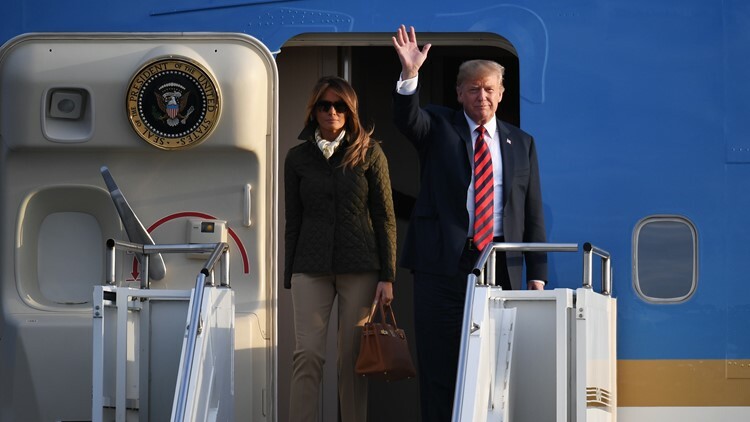 WASHINGTON (AP) - President Donald Trump says Air Force One is getting a patriotic makeover. The presidential plane - it goes by the radio call sign of Air Force One when the president is on board - was once a Boeing 707 that had orange above and below the nose and "United States of America" painted on the sides in blocky, all-caps lettering.